It’s fall in Florida! How can you tell you ask? The colors on the licenses plates are changing. Yes, I know, you’ve heard that one before. 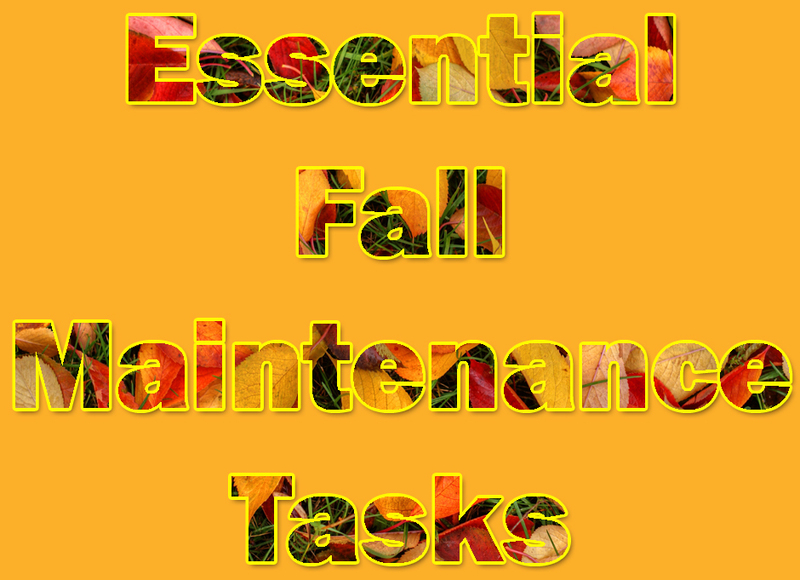 Since many of our fall/winter residents need to maintain 2 or residences, we at Our Service Company came up wit a check list to help you take care of big home repair projects before shorter days make outdoor work too challenging. Here are a few essential maintenance tasks to consider. It’s tree trimming season. Trees typically dormant during the fall, and are less likely to get a disease, therefore this is the optimal time for pruning. Because trees are slowing growth in the fall, it’s not an ideal time to plant a new tree, as the roots may have trouble getting established. Conciser hiring a professional to preform this task. 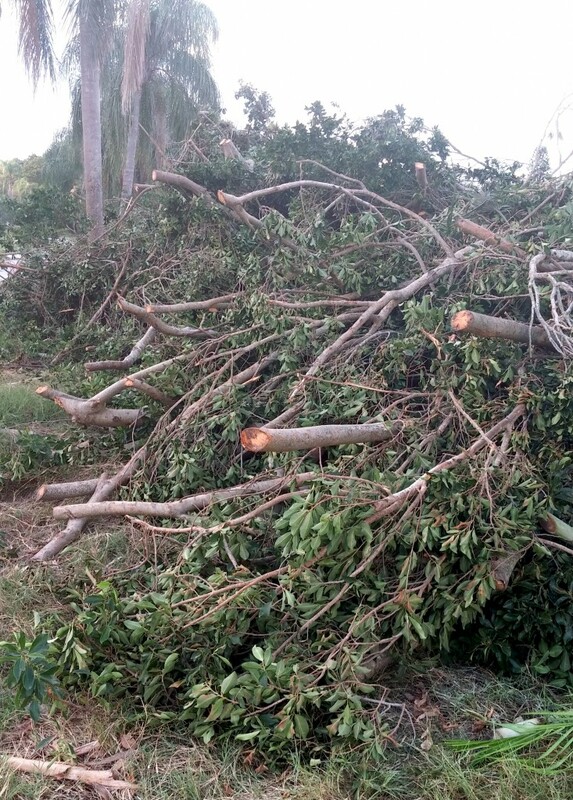 They are can spot signs of poor health early on to prevent tree loss, and they know how to prune properly to avoid falling limbs. Rake the leaves on your property. Yes, we have deciduous trees in Florida. Although some among us may think that leaves look beautiful blanketing the ground, however, leaving too many leaves on a lawn over can inhibit healthy growth. They can also clog storm drains which can lead to flooding. Clean gutters and downspouts. Now is a great time to clean out gutters and downspouts. Clogged gutters during rainstorms can cause water to pool and damage your roof or siding. Make sure gutters aren’t sagging and trapping water; tighten gutter hangers and downspout brackets. Replace any worn or damaged gutters and downspouts. Make repairs on the outside of your home. Survey your property, look for signs of damage to the roof, siding (for you northerners) and foundation. If you see something that needs repair, Take care of it . If your live “up north”, schedule it before winter weather – these problems should be addressed prior to your southern migration. Seal gaps where small animals and rodents could enter your home. Have you ever had racoons living in your ceiling – I have – Not pleasant! Rodents will seek refuge from the elements by entering your home through tiny gaps. Fill small holes and cover any larger gaps securely with heavy-duty hardware cloth to keep the wildlife outdoors. Are you heading south for the winter? Shut off exterior faucets and store hoses before the weather dips below freezing. Doing this will protect your pipes from freezing temperatures . Drain hoses and store them indoors. Before you pack up for your winter migration to sunny South Florida, remove window A/C units. Remove them before the weather turns cold. If you must leave window A/C units in, cover the entire exterior of the unit with an insulating wrap. Now is a great time to clean your dryer vents. Lint buildup in dryer vents can make your dryer work less efficiently and even cause a fire — cool, dry fall weather increases static electricity, which can ignite lint that has built up. Give your kitchen a thorough cleaning! You have put off the more labor-intensive cleaning tasks – you skipped it when you did your spring cleaning – let’s tackle it now. Degrease the range hood and filter; Clean the oven; Vacuum the refrigerator coils; Scrub tile grout; Clean light fixtures; Wash the walls and backsplash; Wash the garbage can and recycling bins; Clean small appliances. Get your carpets and upholstered furniture professionally cleaned. Did you know that most professional cleaning companies offer great carpet cleaning deals in the fall? The earlier in the season you schedule, the better the deal. Flip your mattress. This will equalizes wear. Now is also a great time to clean mattress pads, pillows, duvets, blankets and comforters as well. Clean or replace filters or humidifier elements. Changing filters regularly will maximize energy savings and increase indoor comfort.